The orange-tinged flesh of this meal is a tip-off that it’s chock-full of beta-carotene. In the body, beta-carotene can be converted to vitamin A to bolster eye, bone and immune health. 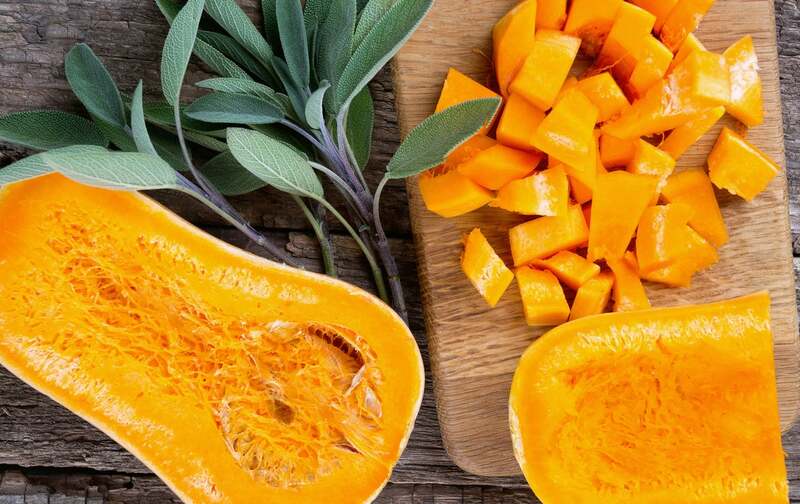 On its own, beta-carotene is considered an antioxidant that can help mop up pesky cell-damaging free radicals. Use it to make a sweet-savory puree for fish, chicken or pork. Heat oven to 400 degrees. Place tilapia fillets on a parchment paper–lined baking sheet and season with salt and pepper. Bake for 12 minutes, or until just barely cooked through. In medium-sized saucepan, heat oil over medium heat. Add sliced leek, chopped garlic cloves and ½ teaspoon salt; cook until leek has softened, about 3 minutes. Add cubed and peeled butternut squash, chicken or vegetable broth and ¼ teaspoon black pepper. Bring to a boil, reduce heat and simmer covered until squash is tender, about 15 minutes. Puree in a blender or food processor along with lemon zest. Spread butternut puree on serving plates and top with tilapia. Scatter on chopped chives or parsley.